A sharp fall in crude oil prices, in anticipation of continued oversupply ahead, failed to support the currency. 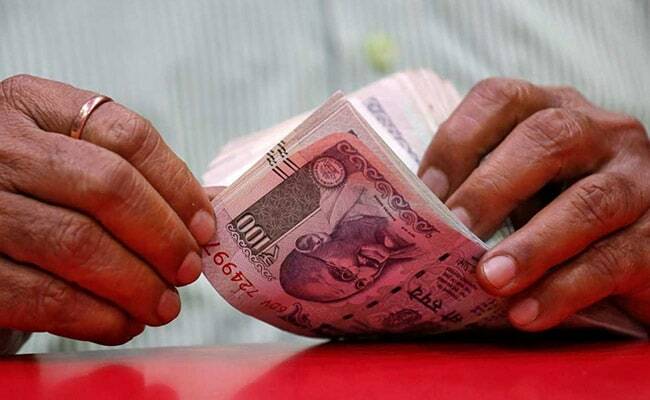 The rupee fell by 44 paise against the dollar to close at 70.90 on Thursday, as against its previous close of 70.46, reported news agency Press Trust of India (PTI). Weakness in the domestic equity markets along with strength in the dollar pulled the rupee lower, leading to a 0.6 per cent fall in the currency A sharp fall in crude oil prices, in anticipation of continued oversupply ahead, failed to support the currency. At 70.90 against the dollar, the rupee is still down 11 per cent against the greenback so far this year. Credit ratings major Fitch said it expects the rupee to weaken to 75 against the dollar by the end of next year, on account of widening current account deficit and tighter global financing conditions. Domestic stock markets plunging to two-week lows, hurt by an across-the-board selloff, also affected the rupee sentiment. The Sensex shed 572 points and the Nifty 181 points to log their lowest closing levels since November 22. Crude oil prices lost nearly 5 per cent after the Organization of the Petroleum Exporting Countries (OPEC) signalled it may agree to a smaller output cut than expected. Brent - the global benchmark for crude oil - hit an intraday low of $58.36 a barrel. The oil prices have plunged by around 30 per cent so far this quarter, reported news agency Reuters. Meanwhile, bonds rose to over 8-month highs as rate hike fears faded after the RBI promised to keep buying government bonds to infuse liquidity. Losses in the rupee were consistent with most Asian peers which fell on concerns over slowing global growth and a lack of resolution in the China-US trade war.